Couple Looking to share a catered chalet with adults guests in the French Alpes from december 22, 2018 for one week. We can offer you Sat 22-29 December 2018 for £700pp. 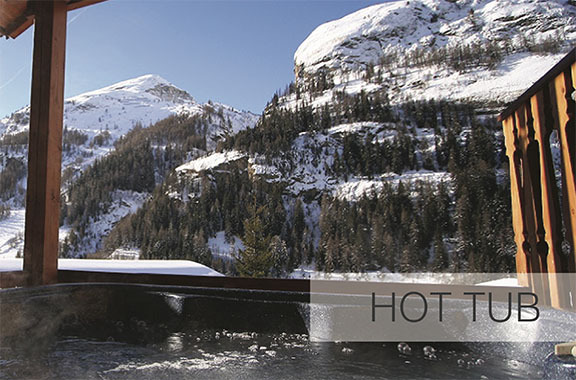 * Outdoor Hot Tub - with the most amazing view of the famous 21 hairpins of Tour de France fame. Known as the ‘Mystical Ascent’. * Ski IN/OUT - we also have transport within resort too. * Large south facing balcony overlooking the 21 hairpin ‘Mystical Ascent’. Please check out our website: www.MountainChalet.co.uk or email me Tim@MountainChalet.co.uk for more information. I really hope this offer is of interest to you. I look forward to your questions. I’ll be delighted to welcome you from 22-29/30 December. •	owner-operated since 2004, by professional chef with excellent reputation for high quality food. •	renovated Savoyard chalet in the unspoiled village of Samoëns, Grand Massif. •	2 minutes from lifts in free ski bus which stops 50m from the chalet. The price for 7 nights is €720 pppw. If you have any questions, please email info@chaletmariestuart.com and we'll be happy to help. We would love to welcome you to Chalet Le Pery, a stunning alpine chalet nestled in woodland in its own private grounds with uninterrupted valley and mountain views. It is only a 45 minute drive from Geneva airport and conveniently located close to the resorts of the Grand Massif with heights of 2,500m and 265km of awesone skiing for all levels from beginners to the more advanced. We are a family run company operating successfully out of La Tania, Courchevel for 25 years, we can offer you accommodation in one of our family chalets from 22nd to 29th December 2018. La Tania is a ski in ski out resort offering easy and direct access to the vast and varied skiing of the 3 Valleys. All our chalets are located in the chalet area of La Tania with only a short walk into the center of the car free, picturesque and lively village of La Tania the chalets offer doorstep skiing, and have WIFI throughout, the chalets boast log fires, ski storage, boot warmers, outdoor hot tub with great views across the mountain and down the valley. Our Chalet hosts are both friendly and professional; we train them to offer the same level of excellent service that we offered when we first started running our own. We have our own in house quality yet fairly priced ski and boot hire service and our ski techs are on duty every morning and evening to make any necessary changes needed. We can purchase your ski passes in advance, ensuring you get the best price and will deliver them to your chalet. Please get in touch for your personalized quote. We are Pinewood Chalets and we love bringing snow lovers out to the Alps! We would love to welcome to Serre Chevalier this season. My wife and I run a company called Pinewood Chalets, we are here to provide you with the BEST Winter holiday possible. Serre Chevalier is one of the largest resorts in Europe, it covers over 250km of beautifully looked after pistes with our highest point at 2830m. We have one of Europe’s most extensive snowmaking networks with over 310 hectares covered! Add this to the 306 days of sunshine a year, some of the most accessible off piste in the world, and stunning tree lined runs, this is a real special place. Pinewood Chalets have different accommodation options to offer, we have our 26 bed Le Petit Sport chalet with open kitchen/diner (it’s a great atmosphere), Pinewood Apartments are great for groups or families that want a luxury home in the Alps, these sleep from 4 up to 26. This is £399pp for Xmas week. If you have any questions please do get in touch as we are happy to help. Grab a piece of festive action this Christmas in Morzine with a special offer from MorzineLets that will save you 15% on a seven night stay (Sunday to Sunday) in a stylish hotel right in the centre of the ski resort. MorzineLets is offering seven nights for the price of six at its flagship Rhodos Hotel with free Wi-Fi, free live music and entertainment and all the facilities Morzine has to offer on your doorstep including the free ski bus to the Pleney, Ardent and Avoriaz ski lifts. The Super Morzine ski lift is just three minutes walk from the hotel. The Rhodos is the ultimate in convenience in terms of location right opposite the town hall and ideally located for bars, restaurants, night life and shops. All 16 bedrooms have unsuited facilities and views to the mountains. The deal includes half board and the hotel restaurant has a modern and varied menu. There are also a wide variety of bar meals and cocktails. You can really soak up the atmosphere of a typical Alpine town when staying at The Rhodos with its fairytale outlook and views across the valley and to the mountains beyond. Added benefits include the ability to book airport transfers, ski passes and ski and board hire through MorzineLets. Christmas really is a very special time and The Rhodos creates the kind of atmosphere that makes this season memorable. From our stylish festive lights and decorations, best possible food, to ski equipment storage and après ski ambiance, the Rhodos offers a great package. If you are looking for other types of accommodation MorzineLets has apartments for all sizes of groups in over 80 chalets in the resort. 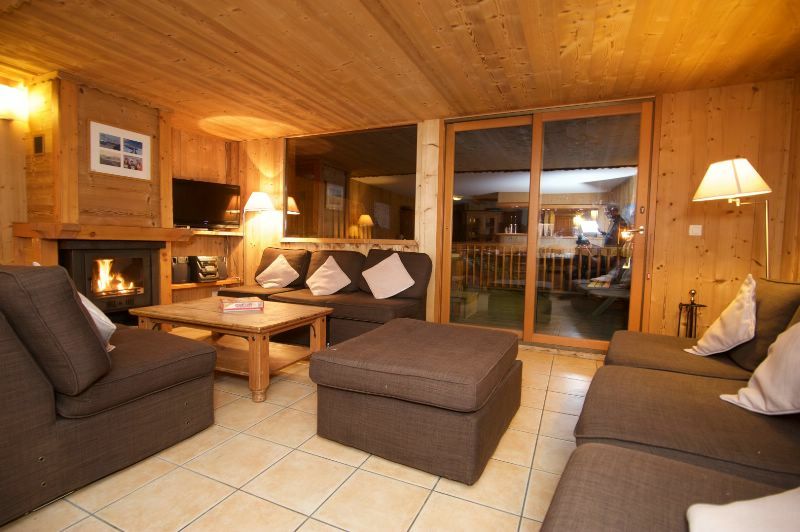 Chalet Sophia, in Tignes-les-Brévières, Espace Killy, is available for your dates for 2 people. 7 nights’ catered accommodation at €799 euros per person (just £700 euros at today's exchange rate). Chalet Sophia sleeps 17, has a large hot tub on the balcony, spectacular mountain views and a traditional wooden sauna. 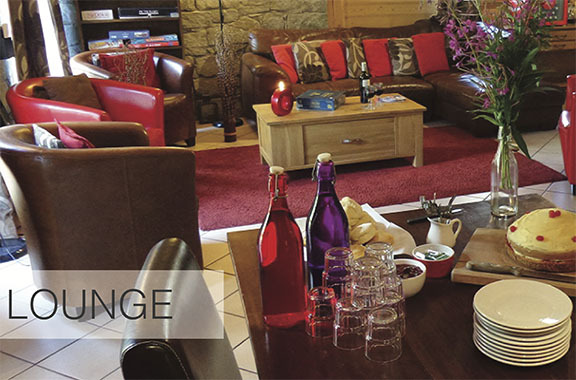 Only 1 minute walk from the lift, the chalet has a large, cosy lounge with log fire and free WiFi. Separate to this is a TV snug with UK TV, DVD player and games console. All bedrooms are well-furnished and comfortable with a mix of twin, double, triple and family rooms available. 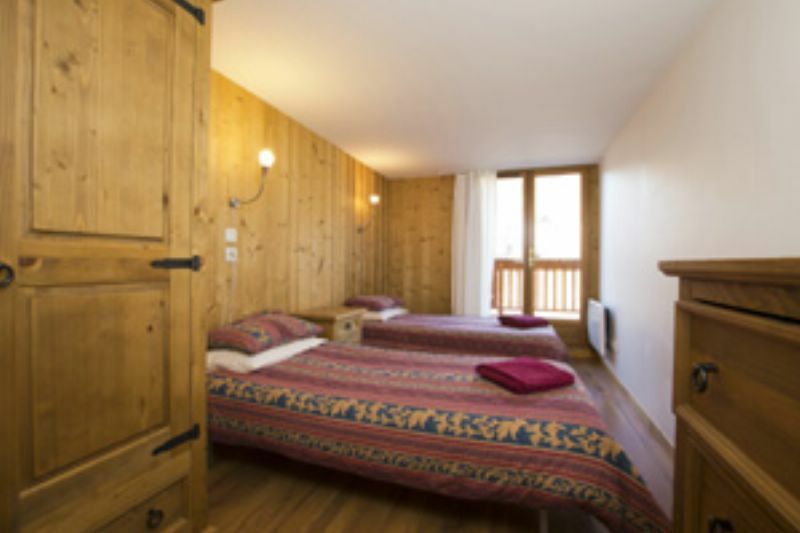 · Beautiful alpine chalet in Tignes with hot tub and sauna. · Large lounge with log fire and separate TV snug. · Bookable on a room-by-room or full-chalet basis. · For full-chalet bookings, the 17th place is FREE. · Homemade 5-course evening meal served on 6 evenings, accompanied by free-flowing, bottled French wine. · Just 1 minute walk to the lift. Price - £599pp for a week from the 22nd December. Bettaix is a beautiful place to stay - a quiet, residential location and only a 2 minute walk to the chair lift. There is a hot tub and sauna too! We have availability at Chalet Pere Marie, Villaroger (les arcs), Paradiski 22nd - 29th December at £789 per person (we have flexible arrival dates here so 6 and 8 night options also available and alternative travel dates if it helps with cheaper flights). *7 day, full area lift pass. We operate in LaTania, situated at 1450m, a most amazing resort in the 3 Valleys, perfectly situated between Courchevel and Meribel. With excellent links and snow record, it offers skiers and boarders a paradise to play in. With comfortable (mostly) en-suite rooms, relaxing lounge and separate dining room, our Chalet Hotel works exceptionally well for larger and smaller groups. Within a couple of minutes stroll to the village centre and all the skiing action, it is in a very convenient location. Offered half board, and catered over 7 days. We offer a hot / cold buffet breakfast, afternoon tea and freshly baked cakes. Every night, our chefs create an excellent 4 course dinner, served with quality wines. There is a comfortable lounge to relax in and separate dining room. Our staff are exceptionally trained, so you can have the best time. 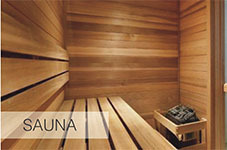 Our Chalet-Hotel also has an excellent sauna to relax those tired bits!! As a private specialist operator, we have over 15 years’ experience in all aspects of arranging your holiday… including travel, accommodation, best value ski passes delivered on arrival and discounted equipment rental. If you like what we have to offer, please drop me an email and I will come back to you with a great personalised deal. Half Board accommodation with wine and soft drinks at dinner at our owner run chalet. Resort transport. We are 5 minutes from the lifts of St Gervais and Megeve, 15 minutes from those of Les Contamines and 30 minutes from Chamonix. Our 4x4 transport is available throughout your stay. Please check out our Chalets Direct entry , our web site www.rdtskiclubl.com and Facebook page. Come back to us if we can be of any assistance. Respond by email: rdtskiclub@gmail.com or phone: +44 7896304108. The price per person for 7 nights is £320. We also offer the option of a traditional turkey dinner with all the trimmings on Christmas day. We have a double en-suite room available in our wonderful 7 bedroom catered chalet in the lovely village of St Jean d'Aulps just outside Morzine. The price for the week commencing 22nd December is £599 per person. Food is exceptionally important to us and we can promise you food way beyond the usual chalet menu. We have a Certificate of Excellence on Trip Advisor so please do have a look to see what other guests think of us. The above price includes cooked and continental breakfast, afternoon tea with home-made cakes and four course evening meal with wine on six nights. We shuttle you to and from the lifts of your choice everyday so you don’t need to worry about walking or waiting around for ski buses. The local lifts at Pleney, Ardent, Prodain or Super Morzine are around 10 minutes drive away and we also have a smaller, unlinked resort called Roc D’Enfer just two minutes from the chalet which is a real hidden gem. The chalet has an outside hot tub, sauna, large lounge area with open log fire and separate bar area with well stocked honesty bar. We are within walking distance of local shops, bars and restaurants. We can arrange transfers from Geneva for an additional cost. The Portes du Soleil is the world's largest internationally linked ski area offering skiing in 12 resorts across France and Switzerland. The 650 km of pistes offer ample opportunities for all abilities and disciplines and boasts an excellent snow record. Please do not hesitate to contact us with any further questions or queries. 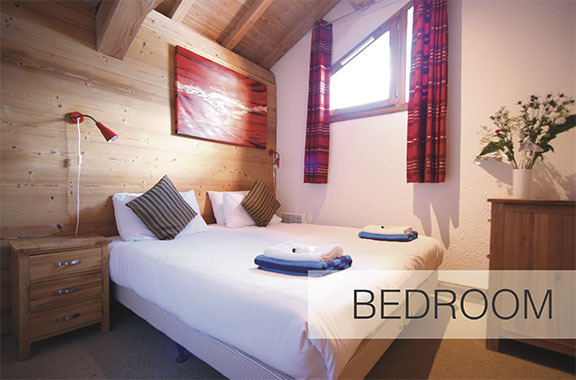 We have a double room available for you in Chalet Darbon, our beautiful catered chalet in the heart of Morzine. The price for the week commencing 22nd December is £499 per person. We do have availability for 2 people from Sunday 23rd December - Sunday 30th December in Chalet Flocon. The price for the week is £770 per person, fully catered, on a shared occupancy basis. which would reserve one en-suite twin room. and we would be pleased to welcome you to the chalet. To make a chalet booking please e-mail sales@ice-fire.co.uk to confirm your place. We will then send you through an invoice, booking form and further information. We have just the thing for a very special Christmas. Hotel Le Renard is situated in Chatel in the largest ski area of France "Les Portes du Soleil" which boasts 650km of skiing and being on the Swiss boarder you could ski in two countries in one day. We are a small 5 bed roomed chalet hotel and one of the closest to the slopes, only 5 minutes walk or 200 meters ski, A bus stop (every 15 mins) directly outside. We have specialized in skiing holidays for over 27 years. •	En-suite rooms with balcony views. •	Heated Terraces, fantastic bar, log fire in restaurant. •	Private lounge 52ʺ Plasma TV, English Satellite, games room. •	Half board evening meal includes 3 courses with choices, local Savoie specialties. Benefit from staying in a chalet style environment but incorporating high class restaurant food. Christmas prices 720€ per adult fully catered. For more information please contact us, and also look on Trip Advisor where we have been voted one of the best, and also look on Google for 360° photos! NOW WITH ALL INCLUSIVE AIRPORT TRANSFERS !! !